So you’re looking for monologues again. We should do away with this whole rigamarole and go back to repertory theaters with acting companies anyway. Start your own company. If that doesn’t suit you, the ticket into the art form that most demands collaboration comes in the confusing form of a tiny one-person show. Most actors hate it because it requires more out of them than looking pretty and saying words with emotions. It requires one to have a voice and responsibility for the things they say. Word to the wise: if you have trouble finding good material, you’re not reading enough good material. You’re not seeing enough good theater. But you can change! As someone who performed a confounding Larabee Sr. rant from Samuel A Taylor’s 1954 Sabrina Fair at an audition freshman year of college... if I can do it, so can you. There’s a fine line between obscure and overdone. Find the balance. The history of the Western world was written by white men. There are playwrights that aren’t straight white men. Please don’t bring in your own work. If you’re auditioning for a historically black theater, you better bring in monologues written by black playwrights. Know your audience. No stories, musings, bloviating. Your character is fighting for her life at this moment. Don’t do a monologue from the show you’re auditioning for. Show variety. Comedic monologues will always be better audition pieces. I know you’re the next Meryl Streep, but the first time you meet someone, would you rather they were laughing or crying? I’ll wait. When finding contrasting monologues, be smart. A Shakespearean physical comedy and a contemporary psychological thriller. Bold choices, folks! There’s a genre of gag monologues: talking really fast, lists, repetition. Annie Baker’s “Ladder” monologue from The Aliens works great in the show, but out of context, my eyes roll back into my head and down my throat and now you have to deal with a choking victim mid-performance. The ideal monologue covers a range of emotions, it’s own mini-play. If you don’t read it that way, ask yourself why. But where do I find the monologues? WorldCat is your friend. It sources libraries near you that have the plays/playwrights you’re looking for. If your library doesn’t have that play, request it! Befriend your librarian. Uncover the mysteries of the library catalog. You should be able to search subjects like “Drama -- Childhood” to find all the plays about mothers abusing their kids or “Drama -- Comedy, Cooking, Appalachia” about a happy family cooking opossum in the hills. Most playwrights have agents or websites with contact information. I have had playwrights send me their unpublished scripts. They’re artists too, looking for love and recognition. Look for lists. The Kilroys. The Obie Awards. The Lucille Lortel Awards. The Outer Critics Circle. The Drama Desk Awards. The Drama League Awards. The Off-Broadway Alliance Awards. The Princess Grace Award. The Relentless Award. American Theatre Critics Association Awards. Used bookstores are treasure troves. Some of my greatest finds were from perusing the dusty shelves of Half Price Books. Sit down and start digging. New Dramatists. Library of new plays (many unpublished). Staff will make copies of unpublished plays for a small donation, and will even send electronically if you cannot make it to NYC. Sometimes there are free book giveaways too. And free (donation appreciated) coffee! Podcasts. My favorite monologues are from podcasts. Julie Klausner’s “How Was Your Week?” and “Getting On with James Urbaniak.” I hardly get to use them, but when I do, they kill. If the material is that good, we can forgive the source. Again, know your audience. Book databases (Google Books, Amazon, GoodReads…) have a “People Who Searched for This Book Also Liked XYZ” section. Use this to your advantage until you end up in a K-hole. Everything leads back to Caryl Churchill, I swear. Drama Online. Filtering database of material with a monologue finder. I haven’t found much success with the monologue finder, but give it a whirl! You can enter in specifics about your character, the playwright, the genre, etc. The rest of the website acts as a wealth of compiled resources - audio plays, video collections, lists (! ), publishing companies. Most resources require subscription. Perhaps a library near you or at your school has (or could be petitioned to get) all these resources. Check out past productions of theaters that champion new plays. That’s a lot of information I’ve just thrown at you. I’ve curated my own play library I wheelbarrow wherever I move. Diving deep into the annals of lesser-known plays is dirty work. But when the dust has cleared, you’ll know what to say. Kurt Engh is a theater artist and administrator, currently working at The Public Theater warding raccoons away from audience members. After graduating with a BFA Acting and BA Spanish double major from Texas State University, he has taught English in a Spanish village, boxed pizzas at a Dominoes in West Virginia, and sold spinning Rockettes dolls to tourists at Radio City. 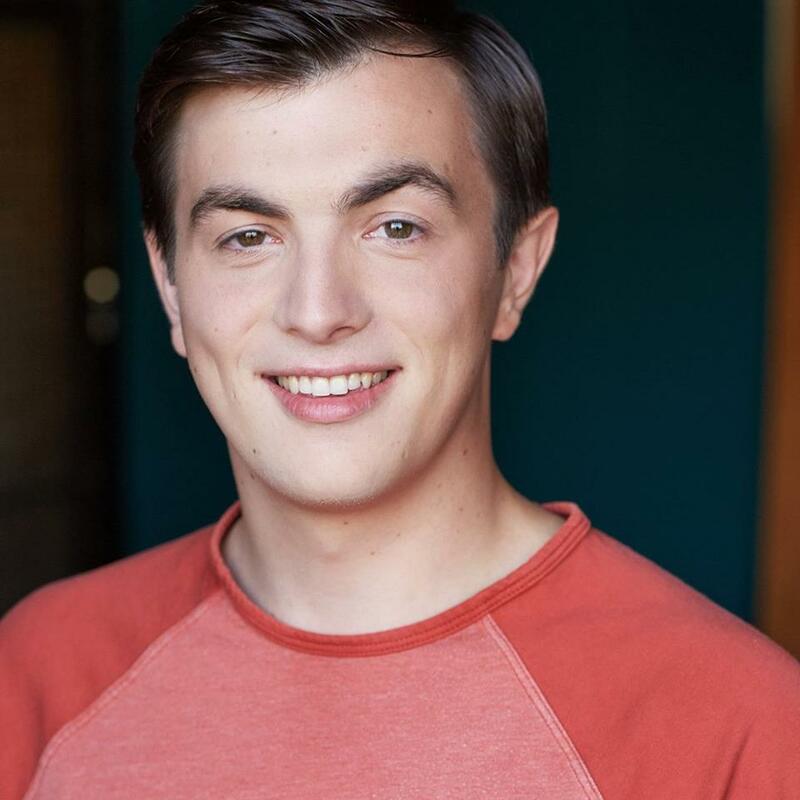 Favorite projects include directing Adam Bock’s “Swimming in the Shallows” and a co-adaptation as part of Charles Mee’s (re)making project entitled “Sessions.” He has auditioned in rooms all over the country and hopes to see you at his next EPA. Stay in touch for upcoming news monologuemogul@gmail.com.